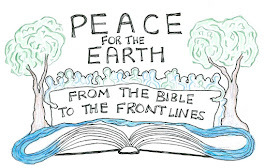 Presbyterians for Earth Care is consistently grateful for your work in environmental and social justice efforts. One way to be proactive is in preparing overtures to be brought to our General Assembly (GA). add ecological language to the Book of Order. Additionally there will be an opportunity to hear the follow-up study and recommendations regarding the Precautionary Principle overture passed in 2014. It was sent to a committee to help keep the church informed about the importance of being proactive for environmental and social safety in the manufacture of goods. Please consider asking your Session or Presbytery Mission Committee to bring this overture to your Presbytery for concurrence. For information about how to submit an overture click here or email Bruce Gillette with questions. The more I feel and sense the wonder of God's gifting of this Earth, our home, the more I am humbled and amazed. At the same time, there are also innumerable causes for concern with the realization of the challenges the fragile planet faces as a result of the overuse and abuse of our home. Overall, there seems to be a rise in the desire for economic emphasis. I have noted this from local comments in my Session to congressional comments recently as I participated in a fly-in to DC to help promote the Clean Power Plan. I am writing this as I participate in a brief Presbytery mission trip in Kenya. Economic disparity is very evident here, as we have stayed and worked in an area not simply "off the grid" but without a choice whether to be off or in. The home where we stayed, just recently had running water added. How can we balance a system of social, economic and environmental justice? We truly need a new ethic of Earth-caring, of a global (current and future) community. PEC is working toward our September 15-18 Montreat Conference with anticipation of an excellent experience in Eco-justice-seeking. We look forward to greeting members and friends during an in-gathering of wisdom and strengthening. We also encourage you as a congregation or presbytery committee to write or concur with an eco-justice overture for General Assembly 2016 in Portland. More information will be at the conference. PEC also looks forward to an enhanced means of communicating. For several years, the Steering Committee has researched the possibility of changing our newsletter. This Update, therefore, will be our final printed version. We will begin with the Fall 2015 issue as a new model of a creative e-newsletter. This will be sent monthly in a form similar to an e-blast but with a variety of articles/offerings regarding faith-based eco-justice. You will be able to download and print it, however, if you have questions or concerns, please contact our Coordinator, Jane Laping, at presbyearthcare@gmail.com. Please also continue to actively check and share our Facebook page. Thank you for your work in Creation care. We appreciate your PEC connections and look forward to continuing and enhancing connections, and our fall gathering that will include our 20th anniversary celebration. Hold fast. Honor your Place in Creation. Let us continue our sacred work together in gratitude.